Our curriculum follows a thematic unit approach. In other words, the core content is taught through a common theme that is integrated across languages and subjects. This approach assists in the transference of literacy skills as students learn in both languages. The thematic approach is a recommended, effective teaching strategy for language-immersion classrooms. It allows teachers to plan a school day that's full of cohesive activities that lend themselves well to natural language development, academic content knowledge, and biliteracy development. This also allows our English teachers to collaborate with our Chinese teachers to coordinate lesson plans and ensure that essential vocabulary is taught in both languages. Developed for the young learner with no prior exposure to Chinese, Better Chinese: My First Chinese Words is our language arts curriculum. This curriculum was designed with the idea that young children learn best when the information given is relevant to their everyday lives, which makes learning fun. The stories contain meaningful sentence structures, teaching students to communicate in full sentences as opposed to memorizing individual characters. The series also uses overlapping content and a predictable narrative structure to provide a springboard for creative role-playing and acting. This gives children the opportunity to quickly apply what they learn in real-life situations as well as start communicating in Chinese right away. It was also awarded the highest recognition from China’s Ministry of Education (Hanban) as the best Chinese as a Second Language curriculum for its target group. VAIS uses Math Expressions as its math curriculum. Combining aspects of the most powerful elements of reform teaching with the best of traditional approaches, Math Expressions uses objects, drawings, conceptual language, and real-world situations to help students build mathematical ideas that make sense to them. Math Expressions balances deep understanding with essential skills and problem solving. Through daily "Math Talk," Math Expressions builds a community of learners with frequent opportunities to explain their mathematical thinking and thereby develop their understanding. Children are asked to solve problems, explain their solutions, answer questions, and justify their answers. They gain greater understanding and ownership of math concepts as they develop and express their own ideas. VAIS uses Mystery Science as its science curriculum. Mystery Science is a hands on program aligned to the Next Generation Science Standards. Mystery Science is based on the concept that a child’s questions should guide his or her investigations which will lead to the development of scientific thinking. Each Mystery is aligned to a topic, performance expectations, science and engineering practices, disciplinary core ideas, and crosscutting concepts. Every lesson begins with a Mystery that hooks students, has an unforgettable story and concludes with hands-on activities. The concepts investigated in kindergarten include: Weather Conditions, Instruments & Seasons; Plant and Animal Needs; and Forces, Machines & Engineering. When introduced to each task, the children discuss what it looks like and feels like to engage in the task independently. Then, the children work on building their stamina until they are successful at being independent while doing that task. When the children are fully engaged in reading and writing activities through the five tasks, our English teacher is able to work with small groups of children. This structure is effective, the results are amazing, and the children look forward to Daily Five time. Although Daily 5 is how we schedule our language learning, CAFÉ is what children study during this time. CAFÉ stands for Comprehension, Accuracy, Fluency, and Expanding vocabulary. VAIS utilizes the CAFÉ menu to help students understand and master different strategies used by successful readers. At VAIS each child has reading goals and strategies speciﬁc to his/her individual needs and therefore will get the individual instruction needed to move forward and become a successful reader. At VAIS students are engaged in an environment that promotes global citizenship. Learning an eastern language and culture that is so very different from western American language and culture provides a natural gateway for students to look beyond their community and truly appreciate a global perspective. 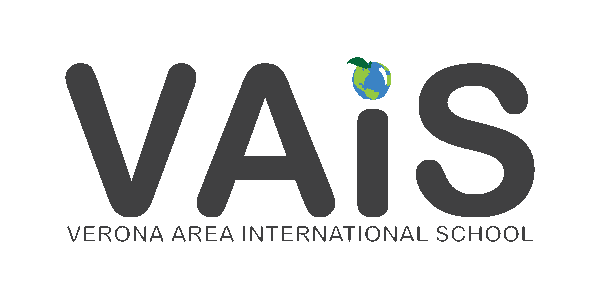 VAIS has adopted the online “Social Studies Alive!” program. It teaches students about the world around them in ways that make them excited to learn every day. The “My Community” module teaches students the basics of geography, economics, and citizenship in the context of learning about their local community. The “Me and My World” module explores the relationships in students' lives with their families, friends, teachers, and neighbors. “Our Community and Beyond” broadens students' awareness about the local and global communities in which they live. Students learn the fundamentals of geography and explore different cultures and public service roles. VAIS follows a unique approach to Related Arts instruction. Students at VAIS engage in “Global Arts” classes where students explore a combination of music, art and/or PE instruction with a focus on the global community. VAIS students are exposed to a variety of internationally-influenced related arts and offered an opportunity to explore them in greater depth. Some themes students have explored include: Plays and Folk Tales across the Globe, Media and Advertising, Sports around the World, Global Architecture and World Clothing and Textiles. Among other things, our students have created an international quilt, a commercial about our school, put on plays, and played games popular in other countries.